Mr. Mahmoud Youseef Adada established his business as sole proprietorship in Makkah region, Saudi Arabia. “Metal cabinets”,“Fitout Kitchens”,and “Metal office furniture”. Transformation from workshop to industrial manufacturing operation, size 1500 SQM with latest equipment invented in the 70’s for Metal cabinets, wooden furniture, joinery and painting processing. Introducing the new generation tailored kitchen line. Published Company’s first product catalogue. Factory relocated to El Omra Industrial Estate with new setup & machineries. Business Growth: Joint Venture with IKK Group (Issam K. Kabbani) group of companies. Introduction of IKK Group: The IKK Group has been standing for more than four decades in Saudi Arabia. First established by Sheikh Issam Kabbani in the late 1960s, the IKK Group has been recognized as one of the top 50 companies in Saudi Arabia as well as one of the leading groups that focus on serving the construction industry. Total Area of Factory: 12,000 sqm with new machineries. Our successful milestone as pioneers and leaders in built-in kitchen concepts throughout Saudi Arabia. BABEL, a new classical rustic kitchen design was introduced. CORDOBA was launched, giving the classical kitchen a modern twist. Our DAMAS kitchen was on display with its clean lined design, reflecting the modern lifestyle. Launching of EDEN, a new trend in the kitchen industry with new concepts and unique kitchen designs introduced in different finishes and materials. Collaboration with Tricom Est and introduced another brand ‘Kimo” in region of Riyadh. This brand serves medium and commercial segments. Launching the new kitchen model “ROYAL JERICHO”, a kitchen that reflects luxury with classical design made of high-quality solid beech wood. CARTAGE, the elegant and charming country style kitchen was launched. Another greatest achievement introducing our new brand “My Closet” under the umbralla of A&K, it will provide household storage solution to our customers. Its first model, DIVISIO is a user-friendly closet that is tailor-made designed according to your storage requirements and home space. MURO was introduced, the perfect storage system that’s perfectly fit for your space and style, whether it’s a master bedroom or closet organizer. GLAMOUR, the new luxury Collection is a combination of comfort, ease, and splendor. It was specialy designed for implementing unusual and extravagant ideas and creating modern, urban, and sharp looking; it’s one thing to have an organized closet and it’s another to have one that is spectacularly beautiful. 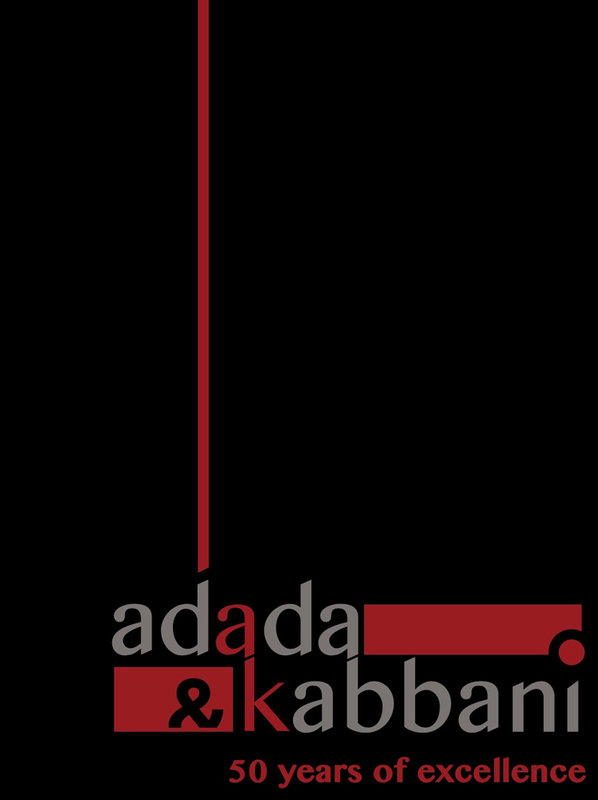 Adada&Kabbani Co. is continuously studying the market to stay aware of the ever-changing and ever-growing demands from high-end and commercial market segments across Saudi Arabia; as such, the company is constantly going the extra mile to meet the market’s ever changing needs. Copyright 2019, Adada & Kabbani Co. All Rights Reserved.